Robyn Vilate: rain rain go away...but don't, really. rain rain go away...but don't, really. here's to a great week and make sure to check back tomorrow for a fun giveaway!! You're too darling! 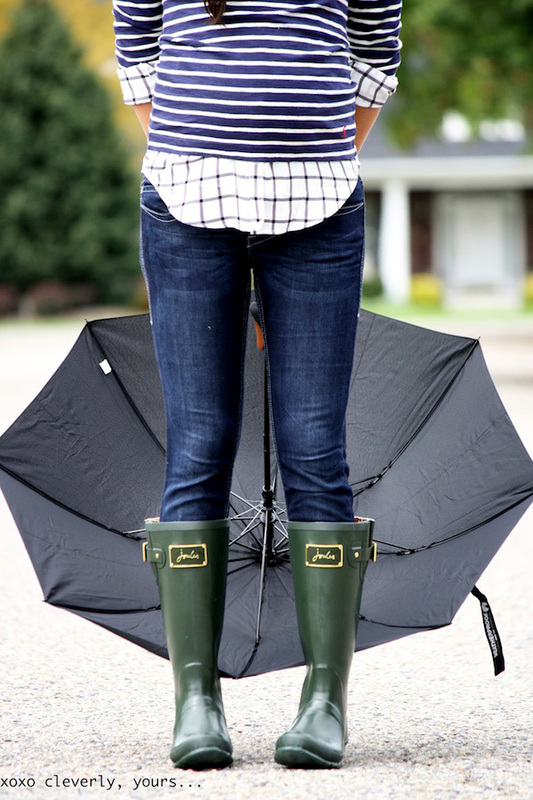 I love the Joules rain boots in Emerald, so cute. I was awoken by pouring rain here (NC) this morning before 5am. (: That really makes me not went to get out of bed. Esp when the alarm goes of at 5:30am. Can't wait to see some more pics! 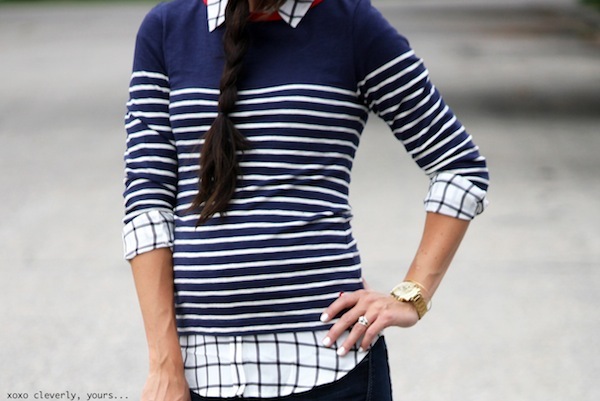 What an adorable outfit, the combination is perfect! So cute!! Hasn't the rain been fun!? the rain here has been crazy. you look amazing! I love the rain! And I love your outfit, the pattern mixing trend is my favorite! That last shot is perfect :) I'm dreading the on-coming rain here but apparently you know how to tackle it! I might also if I owned an umbrella... Must get! I LOVE these prints together. And if you're looking at yourself from the front it doesn't even look like you're preggers!! Beautiful! So jealous you already have some fall weather! Wow those stripes really hide your bump when facing forward. :-) Looking cute as always! You look gorge! Love the pattern mixing with this look! 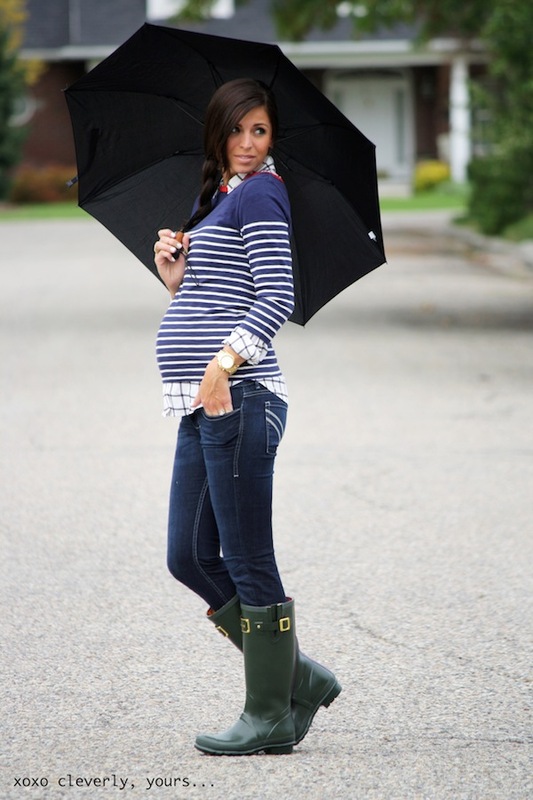 I love this look- it's crazy, from the front, you don't even look pregnant (in a good way!). And from the side that bump is so adorable! Enjoy your last few weeks relaxing! Lovely photographs...And cute outfit, the shirt isn't the one on f21 as yours has a collar do you have a link to it?